The Intergovernmental Panel on Climate Change says in a stark report that most of the world's electricity can - and must - be produced from low-carbon sources by 2050. If not, the world faces "severe, pervasive and irreversible" damage. The UN said inaction would cost "much more" than taking the necessary action. The report suggests renewables will have to grow from their current 30% share to 80% of the power sector by 2050. In the longer term, the report states that fossil fuel power generation without carbon capture and storage (CCS) technology would need to be "phased out almost entirely by 2100". The Synthesis Report summarises three previous reports from the IPCC, which outlined the causes, the impacts and the potential solutions to climate change. Media captionBan Ki-moon: Inaction on climate change "will cost heavily"
Prof Myles Allen from Oxford University, a member of the IPCC core writing team, said: "We can't afford to burn all the fossil fuels we have without dealing with the waste product which is CO2 and without dumping it in the atmosphere." The language in the UN's climate reports has been steadily ratcheted up over the years, but this publication lays out the options more bluntly than before. Events in Copenhagen back in 2009, when a disastrous and dysfunctional summit failed to agree anything substantial, showed how easily rhetoric crumbles in the face of economic pressures or domestic realities. 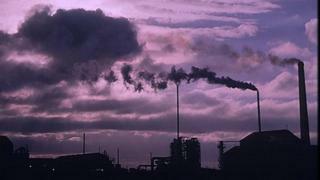 In the IPCC's discussions on fossil fuels, there was a fierce battle over a chart that showed how much the electricity sector needed to curb its carbon, the BBC's environment correspondent Matt McGrath reports from Copenhagen. According to one observer, "the Saudis went ballistic" over the chart's inclusion. Another significant fight was over the inclusion of text about Article 2 of the UN Framework Convention on Climate Change. It quickly became a standoff between those who want the focus to be on cutting emissions against those who think the right to develop economies must come first. An unlikely alliance between Bolivia and Saudi Arabia ultimately saw the section dropped entirely from the underlying report. Some of those attending the talks said that tackling climate change and sustainable development went hand in hand. "Different countries come to different perspectives" said Prof Jim Skea from Imperial College and a review editor of the report. "But from the science perspective, we need them both. We need to walk and chew gum at the same time."